Thank you so much for your interest in The Virtuosic Spy series. I’m excited about sharing Conor McBride’s adventures with you, and hope you will get as hooked on him as I am. 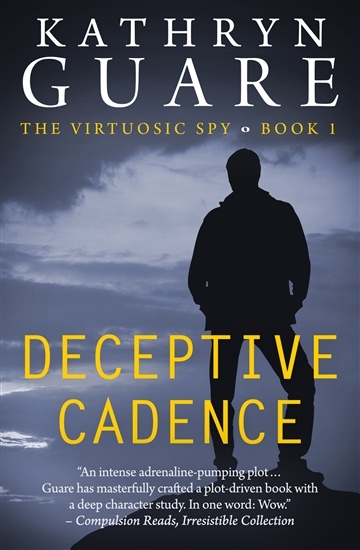 Many of the settings described in Deceptive Cadence are from my own experiences traveling in both Ireland and India, two countries that captured my heart and are always beckoning me to return. I am a Vermont-based writer, and although I’ve traveled extensively I always return to the place where I grew up – the tiniest, funkiest, most awesome state capital in the country. I have a passion for music (from Classical to Pop, and everything in between) and all things Irish, I’m hooked on travel (naturally!) and I love exploring ethnic foods and diverse cultures. Oh, and of course reading! I also love connecting with readers to share experiences and new discoveries in these areas. I hope you’ll share yours as well.